Despite every ounce of finance-related common sense screaming at me to ignore this new, I can't help but admit that I'm really excited about Forgeworld's new Eldar releases. 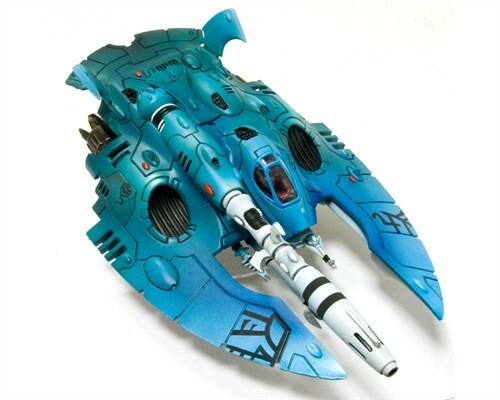 Back when the new Eldar Hornet was released, I said my piece on why I'll probably never buy models from Forgeworld. However, these two new releases might push me to make a purchase whenever my finances get a little more stable. I'm loving this new model, but what really attracts me to this particular tank is the rules for the D-Cannon. I love template weapons, and a long range cannon that can fire as a template is simply amazing in my book. You can see the rules for yourself here, but in short, the main weapon can tank hunt with a 36" gun that always penetrates on a 5+ and glances on a 3+, PLUS it can do funky stuff with the template at short range. This might be the Forgeworld item that makes me break from my old habit of avoiding their products. As I read through the rules, I find myself wondering if they are more complicated than they're worth. I also wonder if the 35 point price tag on each of these guys will be worth it. 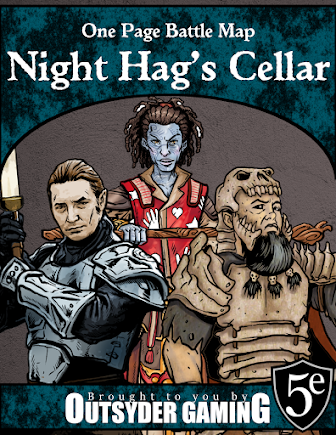 However, regardless of how effective these guys will be on the tabletop, the models look amazing. 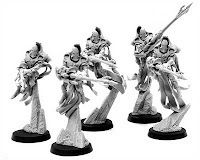 I want to say the same exact thing about these guys that I said about the Dark Eldar warriors: I might never play them... but I really want to paint one. The only thing I really don't like is that you don't get the models exactly the way you see them in the picture. Apparently, you have to do the work on the stands yourself. While this gives a skilled converter plenty of design options, it kind of leaves a reluctant amateur like me out in the cold. 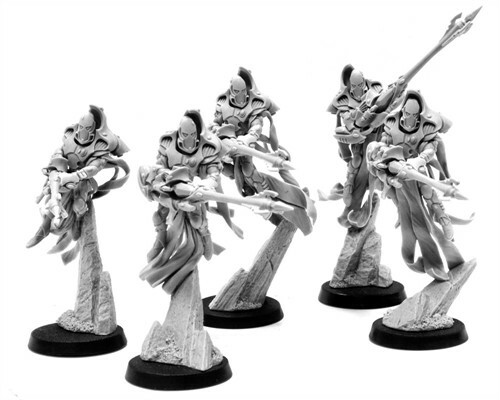 Regardless of whether or not I ever purchase one of these, I love where Forgeworld is going with the Eldar line. Here's hoping that the next official codex includes a few of these new options.